CityFibre and Triangle Networks are bringing gigabit speed internet connections to businesses at Paintworks, Bristol. CityFibre’s full-fibre network will offer internet connectivity 100 times faster than the UK average to businesses at the development. The Gigabit Business Parks program is part of a wider initiative by CityFibre to activate 500 business parks across the UK onto their full-fibre digital network. There is a strong link between world class digital connectivity and thriving businesses. Take a look at businesses in the West of England that have already upgraded their connectivity and how it’s helped them to grow, innovate and be more productive. This event is aimed at the business community and specifically businesses on the Paintworks, Bristol site. 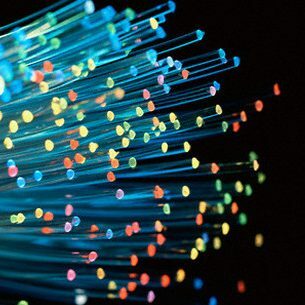 Local businesses from the Temple Quarter Enterprise Zone, and beyond, interested in the difference full-fibre ultrafast connectivity could make to their businesses are welcome to apply for a place. We want the views of local businesses about their current internet service and their interest in the ultrafast and full fibre services which are now developing in Bristol. People who complete the survey will be among the first to know about future events and future gov.uk initiatives to help the upgrade to an ultrafast connection.